In business, the way you present yourself or your company speaks volumes about your professionalism, attention to detail and approach to work. Nothing says more about your attitude than presenting your business cards from a high quality, stylish card holder. 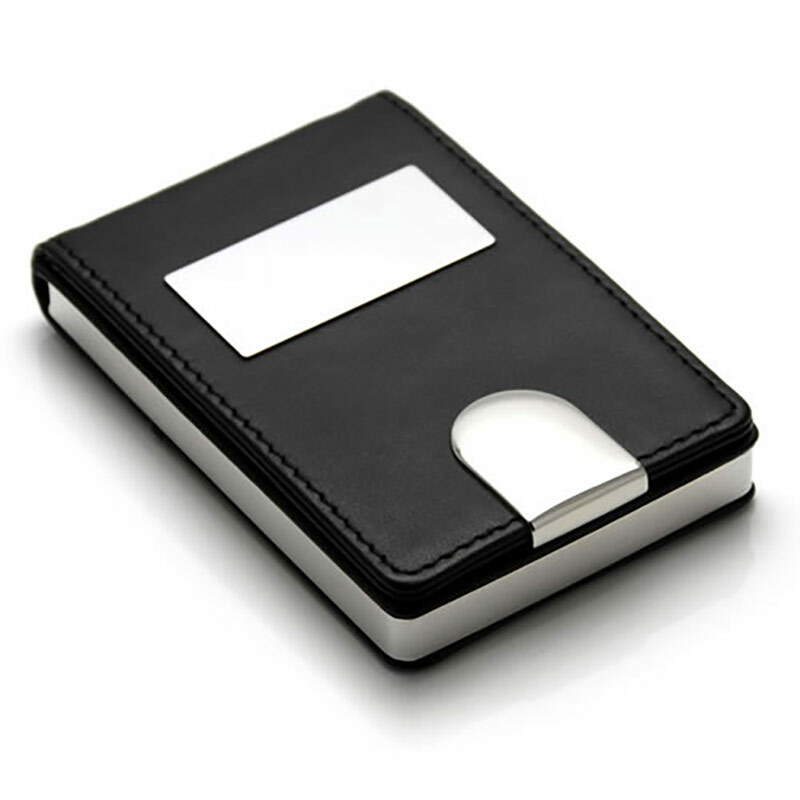 And few business card holders come close to offering the style and impact of these gorgeous black leather cases. Crafted in soft, durable real leather, they feature a stainless steel engraving plate along with steel clasp and sides. These deep cases can store up to 20 standard business cards, ensuring that they are crisp and pristine when you present them to key contacts or prospects. They can be engraved on the stainless steel plate and are offered with free text and logo engraving. We also offer bulk order discounts (see price matrix, above) and low fixed price UK delivery.